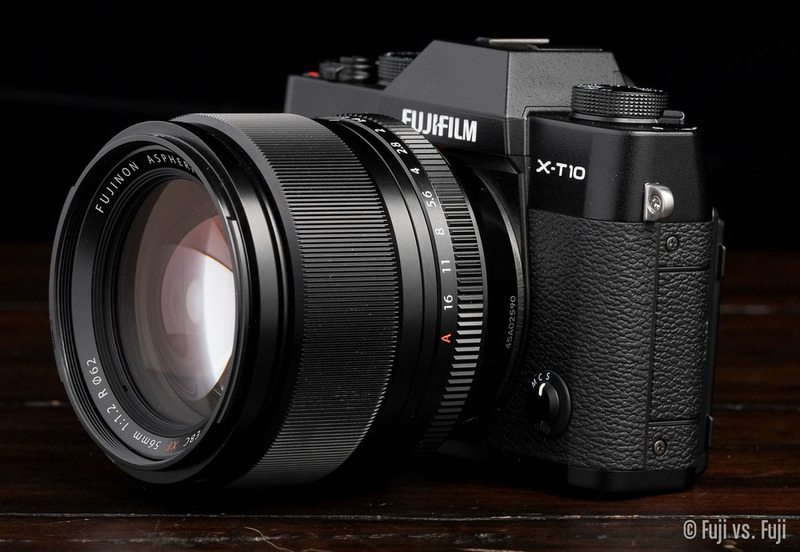 A detailed review of the Fuji X-T10. While the X100 and X-Pro1 may have started Fuji’s rise in popularity, their X-T1 has easily been the company’s most compelling camera for those waiting to make the jump to mirrorless. That makes it easy to understand why the X-T1 has been used as the basis for a new, even more compact interchangeable lens body, the X-T10. When my wife and I were still in our DSLR days, we affectionately referred to her D60 as “Baby Nikon.” That’s the first thing that came to mind when I saw the X-T10. 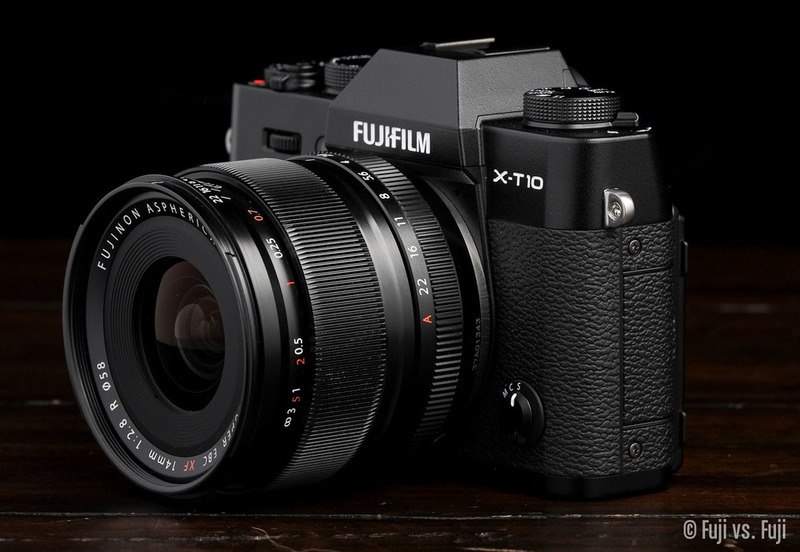 This is “Baby Fuji” if ever I saw one; the X-T1’s younger sibling. Not quite as strong as its bigger brother, and will lose a race every time, but has learned from the rest of the family and has a few tricks of its own. 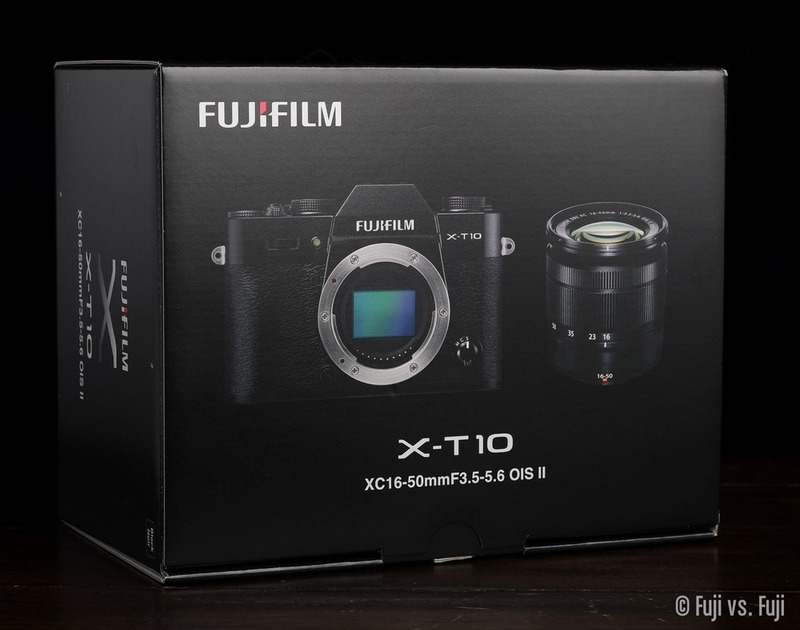 If you’d like to purchase the X-T10, or anything else for that matter, please consider using one of the affiliate links below. The price is the same for you, but a small percentage of the purchase price goes to me, which helps keep this site going. Thank you. This will be a thorough review of the X-T10’s handling in every way. For a detailed comparison between the X-T10 and Fuji’s other offerings, see my extensive Versus piece here. The usual manual, strap, strap fasteners, and charger can be found along with the camera body and in this case, the XC 16-50mm f/3.5-5.6 kit lens. 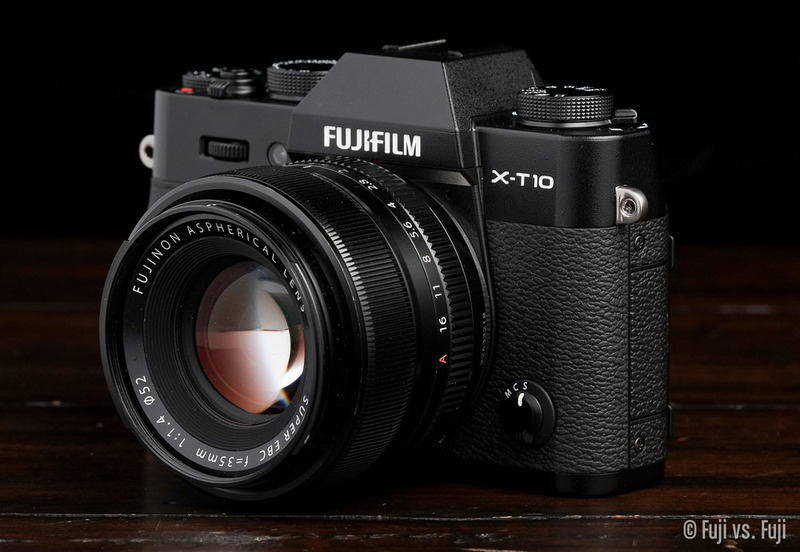 The X-T10 can also be purchased on its own, or with the XF 18-55mm f/2.8-4. I had hoped to capture some test images with the XC 16-50mm f/3.5-5.6 to compare with Fuji’s other zoom in this range, but ran out of time, and honestly, the build of these XC lenses is so far beeneath the XF line, even of the XC lenses matched what the XF lenses could do, I still wouldn’t want one for myself. I’m getting this out of the way right up front. Wait, that sounds familiar. Incredibly, it’s been well over a year since I published my X-T1 review, and there is essentially nothing to add to the Image Quality section of this review. We’re still using that same 16MP X-Trans CMOS II sensor. Given the demographic at which this camera is targeted, we’ll give Fuji a pass on this, but man, it’s just about time for a new sensor, isn’t it? In short, move along, nothing to see here. This is where things get interesting. While not groundbreaking, the new AF options in the X-T10 are excellent. We’ll go through these one by one, but first, let me explain some terminology. The X-T10 has three key items to select, and the nomenclature in the documentation I’ve seen is a little confusing. First, there’s the Focus Mode. The options being Single AF, Continuous AF, and Manual Focus. This is selected via the switch at the front. In Nikon parlance, these are referred to as “Servo.” Fuji might want to find new verbiage here. Next, there is the Autofocus (or AF) Mode, which is selected via the menus or a function button if one is set. Here, the options are Single Point, Zone, and Wide/Tracking. Finally, there is Focus Zone, which is also set via menu or a function button. This setting controls the area Single Point and Zone act upon when selected. You’ll likely want to have each of these settings configured to their default function buttons at first. When Wide/Tracking is selected, Focus Zone is rendered inactive. More on that in a minute. Not let’s get into the Autofocus Modes. Nothing new here. This is what you’re used to. With Single Zone AF selected, the X-T10 will intelligently decide what to focus on within a selectable area of varying sizes (3x3, 5x3, and 5x5), and are selected via either dial. That area can be shifted around with 77 areas on an 11x7 grid via the D-pad. The grid indicates what points are within the Phase Detect area of the sensor. This is a nice feature, but it also highlights that the whole frame really ought to be covered with Phase Detect-ability. The difference in pace of the AF can be felt when the selected Zone falls outside of the Phase Detect area, even in a well-lit room. This isn’t to say it’s slow, and I’d be remiss to not remind I’m working with a pre-production unit, but the centre points are noticeably more swift. Anyhow, once you acquire focus, the X-T10 will show you which of the AF points within the selected area are in focus. Multi-point AF isn’t new to Fuji. It’s available on the X-A2, in addition to other Finepix cameras. With Continuous Zone AF selected, however, the X-T10 will do the same thing, but in real time, meaning it will continuously show you what it currently has in perfect focus. The green AF highlights will dance around within the user selected area. This is what I’m talking about. 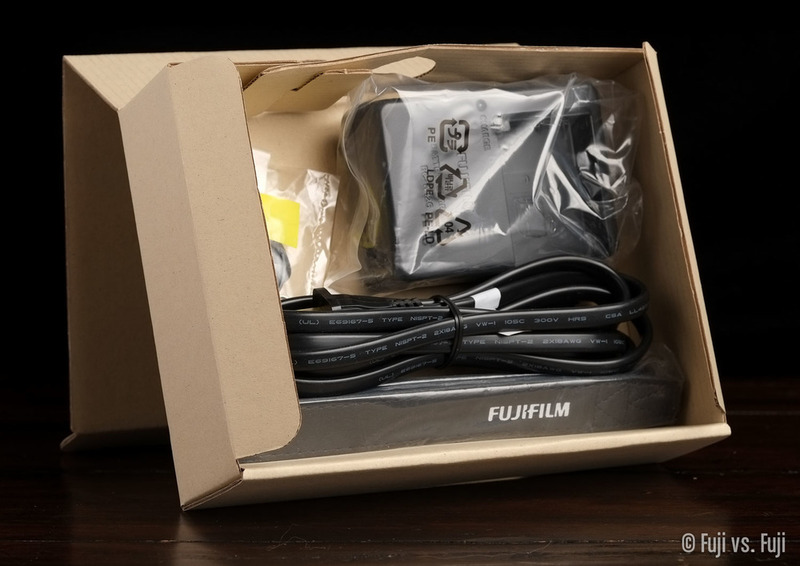 Of all the things I’ve been waiting for Fuji to catch up with my D700 on, this has got to be the biggest. The days of a single focus point that has to be moved around endlessly, or the Continuous AF that leave the user to essentially hope for the best could be over. If you want to give the X-T10 free reign to decide what should be in focus across the entire range of AF points, selecting “Wide Tracking” will do it. These improvements are huge. As a former Nikon-user, I’m feeling right at home. These are features in autofocus I’d forgotten how much I’d been missing. On my D300/D700, I used this method of focus exclusively during event work, so it will be interesting to see as I use them more, if Fuji’s OS is intelligent enough to choose what I want focused on. The next level of Face Detection. This also isn’t a new feature to the world of Fuji, and I’m not sure why it isn’t in every camera that’s had a recent firmware update. In actual fact, I’ve been told by a European Fuji rep that at least some degree of Eye Detection has been around for some time now. 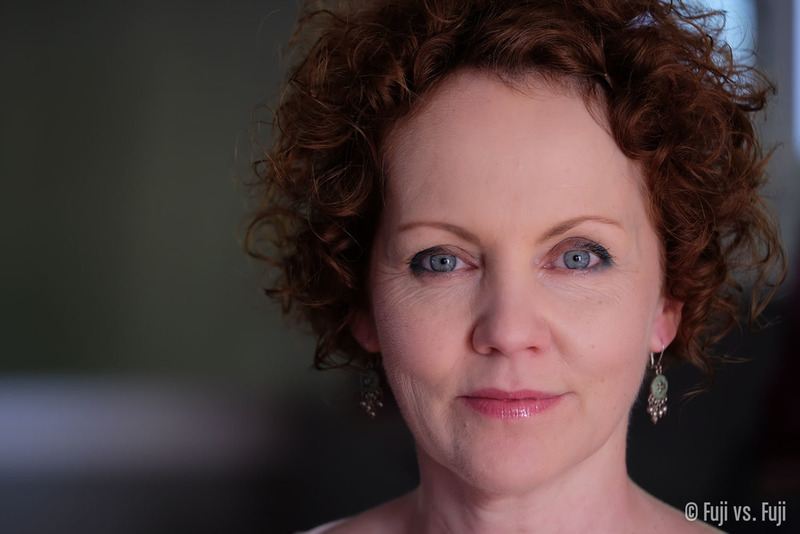 When shooting with a fast lens, like say the 56mm f/1.2, one way to consistently get the foreground eye in focus during a portrait shot is to turn Face Detection on. The camera will do it’s best to focus on the eye closest to the camera. What the Eye Detection setting does is break the feature out into additional menu items. You can still let the cameras automatically choose which eye to focus on, or prioritize the left or right eye. This could come in handy if you’re shooting a series of shallow depth of field portraits where your subjects are all facing the same way. An awfully powerful setting combination is to select a Zone, turn on Face and Eye Detection, then watch as the camera grabs a face within your selected zone, and then an eye on that person. It sounds like it could be a mess on screen, but it works really well. 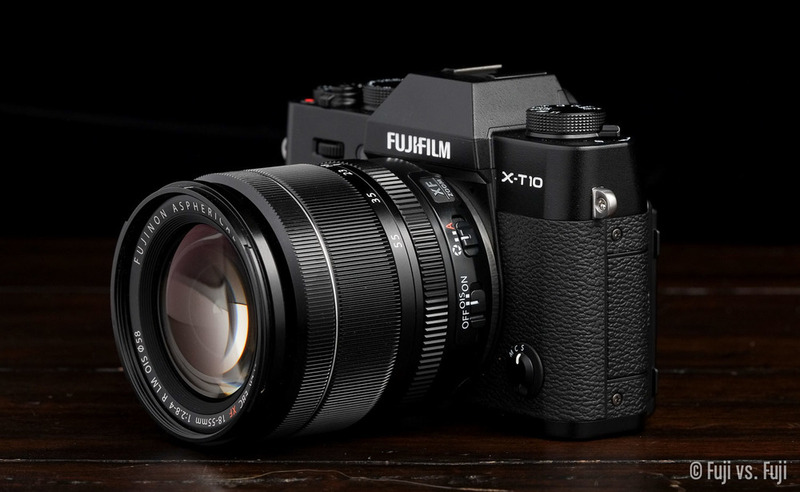 Fuji has brought it to X-T10 however, so I’ve had to dig into it to see what it’s all about, and how it works. I remember these scene modes in point and shoots I’ve owned. SR Auto seems to be where they have evolved to. I have no idea how well Fuji’s compares to the competition, but for the novice photographer, it will likely be of interest. With the flick of a switch, and the turn of the rear dial, you choose from 14 scenes, plus an extra mode called SR+. According to Fuji, it “instantly recognizes 58 scene types and then selects the most appropriate settings.” The settings are indeed selected by the cameras, and if one ventures into the Q-menu, they’ll find just about all the settings greyed out. I have a sneaking suspicion that the majority of my readers aren’t terribly interested in all this automatic stuff. 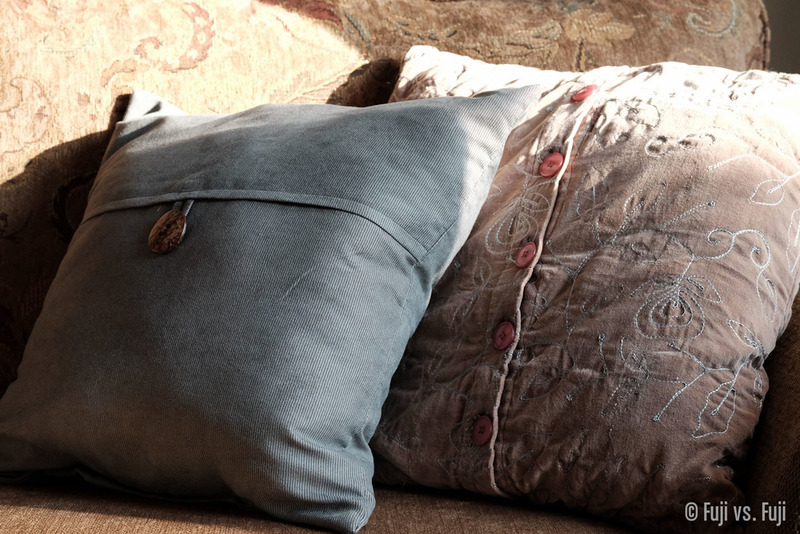 We’re creative masters of our own photographic destinies after all. And SR+ seems like it could be a pretty big drain on the battery. What I will say is the Scene Modes can deliver some very pleasing results. My favourite might be the Sunset. It can bring an otherwise hot and overblown scene into excellent exposure balance and punch the colours just the right amount. Likewise, Portrait will assist you with skintones, however Portrait Enhancer might take things a little too far in how it smears detail. I’m sure the selfie crowd loves it though. I personally won’t be spending much time in SR Auto mode, but one thing I did expect is that if I set absolutely everything to Auto — my aperture, shutter speed, ISO all set to “A” — and then entered SR Auto mode, the camera would then set those 3 items much more intelligently than a typical “P Mode.” When in SR Auto Portrait Enhancer, for instance, why not do everything possible (ISO to 100, Mechanical Shutter engaged) to open my aperture up when Face Detection sees there’s only one face in my scene? Could it not then calculate the Z-axis spread of multiple people in frame and select an aperture that’s sure to get all those people’s eyes in perfect focus? In landscape mode, why can’t the camera move me to a smaller aperture when it thinks I’m capturing a sprawling vista? That’s the kind of thing my wife would love in a camera. She has a fantastic eye, but when I start trying to teach her about apertures and depth of field, I can pretty much watch the glaze form on her eyes. That’s how these dedicated camera manufacturers with exquisite lenses can make their cameras reached for instead of an iPhone. 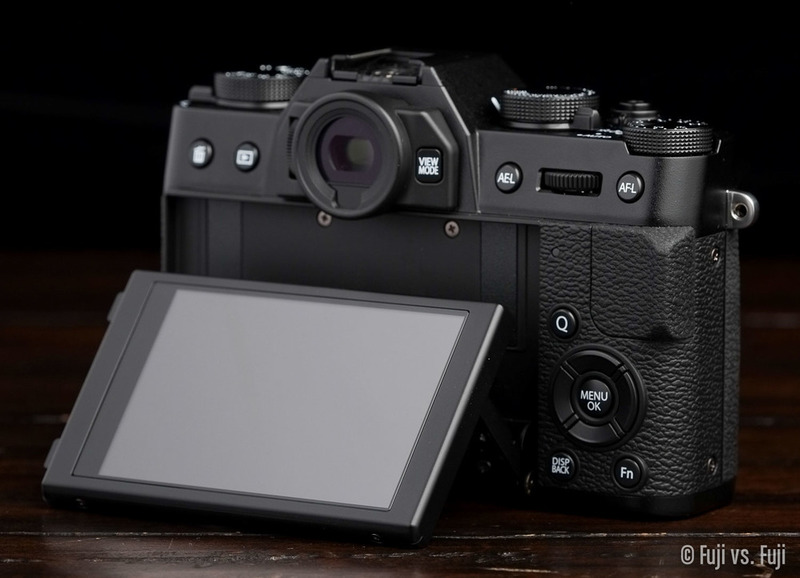 X-M1 owners will be familiar with the build of the tilting LCD found on the X-T10. It doesn’t have the chamfered bezel that the X-T1 has, nor does it sit as flush to the body, but it works just as well. It’s also a little lighter on pixels, but not noticeably. Still no rotation of the UI on the LCD. Pity. The EVF in the X-T10 is the same quality as the X-E2 in terms of magnification and refresh rate. It doesn’t appear the eye cup can be modified like the X-T1’s can. While not quite as night-vision-goggle-like as the X-T1, the EVF performs remarkably well. Phase Detect AF is very fast in my testing. Faster than my X-E2. If I focus on a few things in very low that that are all within the same distance from the camera, the camera just immediately re-locks into focus, whereas the X-E2, will do a small readjustment every time. I’d put the AF on par with the X-T1 running firmware 3.11, if not a little bit swifter in great light. Very impressive. 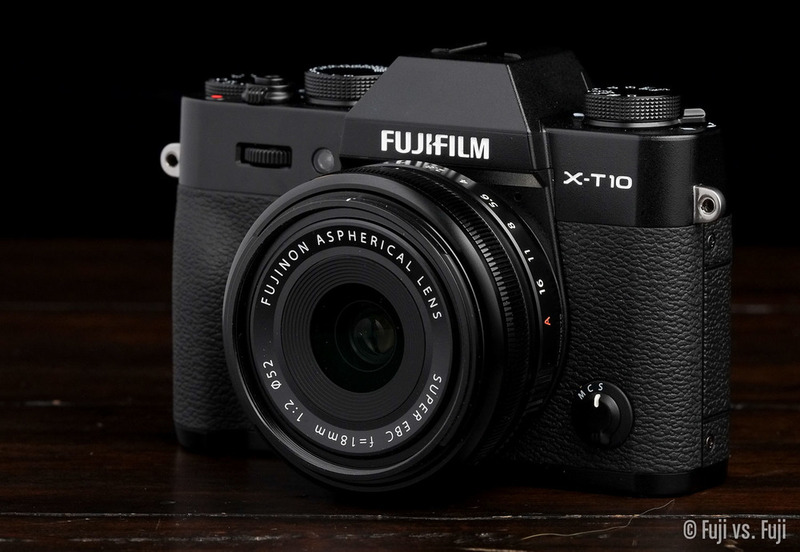 The X-T10 features Fujifilm’s new, mostly-improved UI—on both the LCD and the EVF—bringing it in line with the X100T. 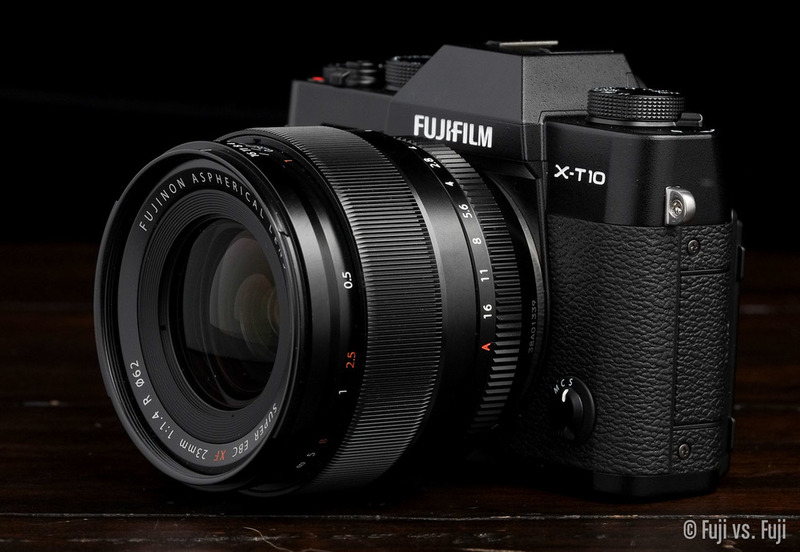 If you’re the sort who was waiting for the X-T1 to buy into Fuji because of its all-magnesium body (you know who you are), the build of the X-T10 might not excite you, but if you’re a normal person, you’re likely to be pleased with this camera. It feels solid, and nicely weighted. 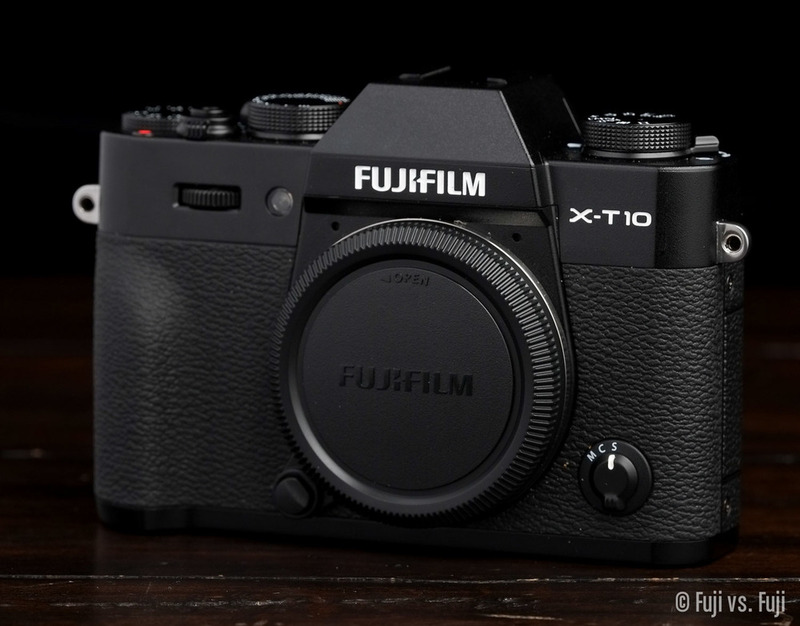 The X-T10 top and base plates are die-cast magnesium, but it does have more plastic, and is more consumer-centric in its materials and texture than the X-T1. You can find a thorough breakdown of the differences between these two cameras in my Versus piece, but suffice it to say that the X-T1 still holds the build quality crown. Nope. Too bad. 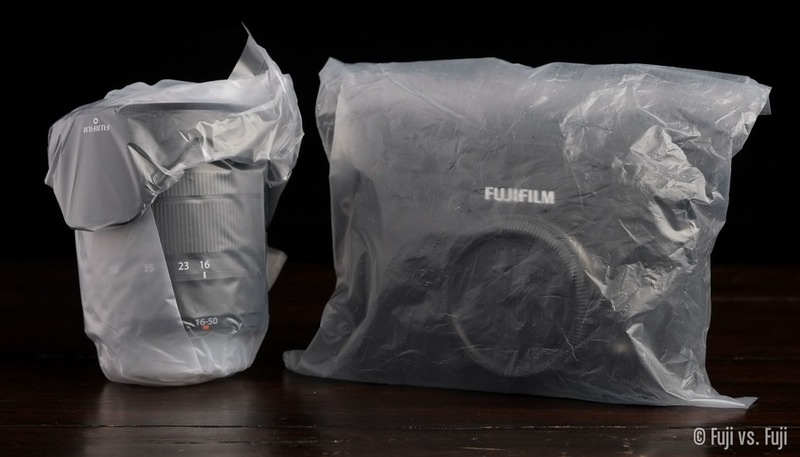 Fuji seem to have a price point in mind, and weather sealing isn’t included in it. Realistically, most “consumers” are likely to retreat to shelter when it rains anyhow. Still, I’d love to see Fuji shift priority, and include weather sealing in everything they make. 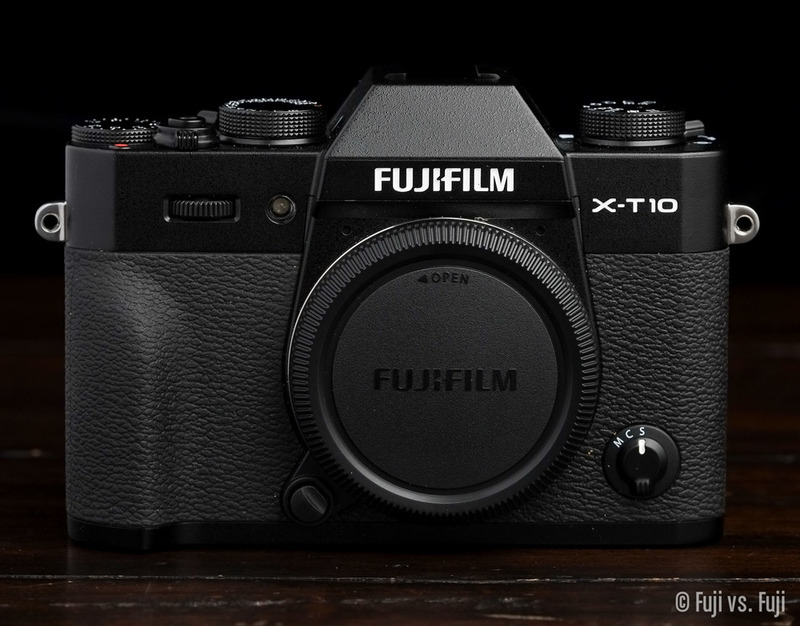 The handling of the X-T10 could either be it’s most winning feature, or it’s biggest failing. Subjectivity comes into play, but shooting style will also matter. To sum up, the X-T10 isn’t particularly well formed for marathon shooting sessions. It’s a camera you keep slung around your shoulder, neck or wrist for hours on end, grabbing pics here and there. This camera is wonderfully small, but it’s so small, you will probably have a hard time acquiring a grip that’s comfortable for an extended period of time, unless you are a toddler. I’m not kidding, I have relatively small hands, but even my wife at 5 feet and change with even smaller hands found the X-T1 more pleasant to hold immediately. 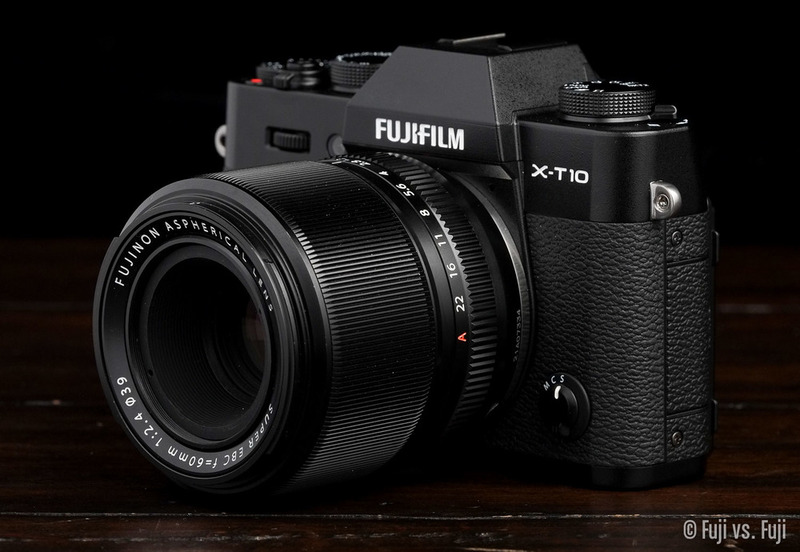 The X-T10 isn’t bad, but it won’t fit like a glove the same way the X-T1 does for many people. X-Series cameras are all small, but it’s not hard to notice when one is attached to your wrist via a strap. 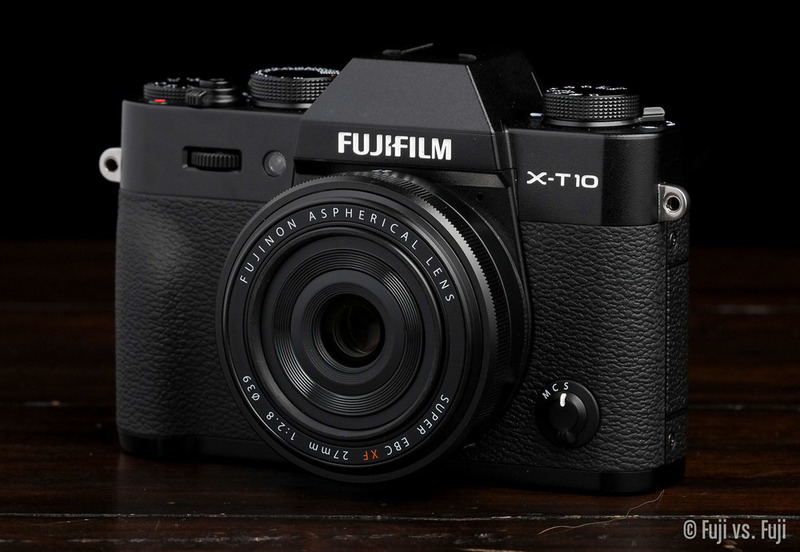 The X-T10 gets us another step closer to unnoticeable, depending upon which lens you have attached to it. Another way to think of it might be that the X-T10 is your scouting camera, and your X-T1’s what you call on to get the work done. One-handed operation is possible, but there’s not a whole lot to get a hold of. That results in your thumb looking for someplace other than the thumb rest to land, and there really isn’t a good place. Even my X100 trick of placing my thumb over the LCD when shooting through the EVF doesn’t work so well. After putting more time in with this camera, my grip has adapted to wedging my thumb into the thumb grip when using smaller lenses. This allows me to shoot one-handed, but I wouldn’t want to do it for long. Larger lenses will necessitate the left hand for cradling. This comes down to trade-offs. A camera can only get so small and so light before ergonomics are compromised. Fill out the grip, and guess what gets compromised. 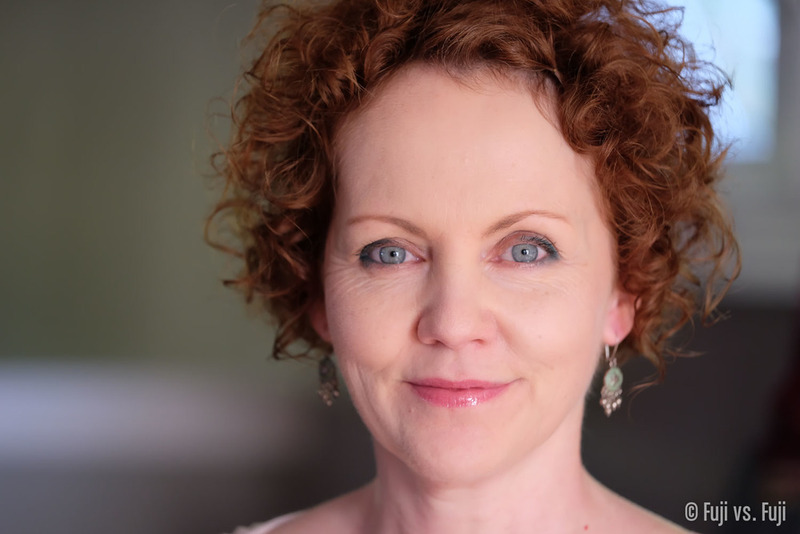 It can be pretty easy to make an X-E2 or X-T1 feel front heavy with a larger lens attached. The X-T10 tops out at the 23mm f/1.4 in terms of where things start feeling unbalanced. With something like the 35mm f/1.4 though, it feels great. In fact, I’d say this body was pretty much made for my Compact Prime Kit. All three of those lenses are right at home on an X-T10. Here’s how the X-T10 looks with a few other lenses attached to it, arranged by focal length. Click to enlarge. And here’s how the X-T10 with the smallest lenses available, the XF 27mm f/2.8 compared to an X100 body. Typically I wouldn’t include a whole separate section for a built-in flash, but this is too clever not to callout. The flash is tucked away inside the prism, and springs into action via the switch below the Drive dial. The break between the flash and the front of the camera body on the sample I have is nearly invisible when the flash is closed. These are some impressive build tolerances. Readers of my X-T1 review will be familiar with this section. I’ll take these items (almost) one by one. Shutter Release: The threaded shutter release makes its triumphant return! 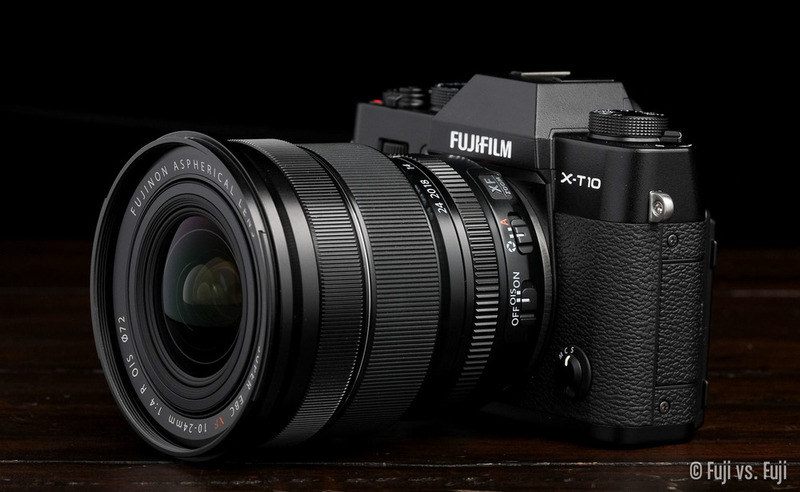 I’m not too sure what Fuji was thinking with the X-T1 (other than weather sealing, of course), but I hope that will be the last higher end camera they neglect to include threads on. The button feels very solid with obvious separation between the point of AF acquisition, and releasing the shutter. Power Switch: A great switch that easy to engage, but very difficult to accidentally switch on or off, unlike some other fixed focal length cameras. Exposure Compensation Dial: While I’m happy to see ±3EV on the dial, I’m not crazy about its operation. It won’t be accidentally turned very often, but it’s not terribly easy to turn with precision with just your thumb either. It’s also recessed, which makes turning it with your thumb and forefinger harder than it could be. Shutter Speed Dial: This dial turns nicely, but we’re back to a dial that can’t turn directly from Auto to Bulb, which is unfortunate. ISO Dial: This dial doesn’t actually exist. Rats. Drive Dial: In place of the ISO dial, we have a dedicated Drive dial. This is a step down, but for a more consumer-oriented camera, it makes sense. It is nice to have have multiple banks for Bracketing and Advanced Filters (if that’s your thing), but with the extra space on the dial, you have to wonder why they didn’t include all 5 types of bracketing, and one Advanced Filter slot. Flash Release: The cool little flash is coaxed out of its home by the lever that’s just below the Drive dial, and where the Drive Selector is on the X-T1. Scene Recognition Switch: This replaces the Photometry switch on the X-T1. This is clearly a big feature for Fuji, so it makes sense to have it somewhere so prominent. Given the added emphasis on automation with things like Face Detection which override Photometry, it also makes sense to keep Photometry tucked away in the menus on a camera like this where it can be visibly greyed out. Focus Mode Switch: Same as on the X-E bodies. Front and Rear Dials: The dials turn most like the dial found on the X100T, which has my favourite to date, but are every so slightly rougher. This could very well be a pre-production thing. The rear dial is much more easy to access than the X-T1’s which was slightly buried in the transition between the body and top plate. Both dials act as buttons, and the rear is slightly better as a button than the front. They behave slightly differently depending on whether you’re in Scene Recognition Auto Mode, or not, which I went into some detail above. Of note, the rear dial will behave like the Focus Assist button or the way the rear dial/toggle on X100 bodies does while reviewing an image, or in Manual Focus, but not while in Auto Focus. Weird. D-Pad: I took serious issue with the first version of the D-pad on the X-T1. Fuji were quick to rectify things, and seem to have put mushy D-pads behind them. The X-T10 has a slightly redesigned (again) D-Pad that’s even clickier and more concave which makes using the buttons by feel that much easier. If you grip the camera tight, you can definitely push buttons unintentionally, but the X-T10 is so small, the base of your thumb may never sit overtop of the D-pad. Body Buttons: The 3 buttons around the D-pad are all good. The Function button which defaults to WiFi is recessed more than the other two, as it would be constantly pressed accidentally when the camera is held. At least there is some consistency when the placement of the Q Menu buttons, and the DISP/BACK button. Top Plate Buttons: These ones aren’t quite as nice. They’re slightly squishier, but arranged consistently with the X-T1. Diopter Dial: Back to the familiar dial found on pretty much everything other than the X-T1. I prefer these ones. Connector Cover: The door is nicely spring-loaded and closes with a slap thanks to the missing weather sealing. To date, the accessory list is a little lighter than what the X-T1 has available. We can expect an Arca-Swiss compatible hand grip, complete with battery and SD card accessibility, and a Black Leather Half case which is a pre-order bonus for my friends in Canada. No vertical grip though, and there aren’t any contacts on the bottom of the camera so there’s little hope for one in the future. Fuji’s breakneck pace continues. Whether or not that is a good thing depends on how much you like what they’re releasing. In all honestly, had Fuji not announced Firmware Ver4.00 for the X-T1 just ahead of the X-T10’s announcement, I’d have started to wonder about priorities. Fortunately that’s not the case. The release of a smaller profile “DSLR-style” body with a centred EVF does raise questions about the future of rangefinder-style bodies like the X-E line. I haven’t lost confidence yet, but we’ll be coming up on 2 years since the X-E2 was announced by the end of this summer (2015). I think Fuji need to announce, release, and relish in the early adopter sales of an X-Pro2 before an X-E3 is announced, as a third X-E camera with the same old sensor would not be looked kindly upon. Whether or not that happens is yet to be seen, it’s really to say that I won’t be worried about the future of the X-E line for quite a while yet. Well, if you need weather sealing, you shouldn’t even consider it. If you need high speed continuous shooting for longer than 8 frames, you shouldn’t even consider it. For just about everyone else, it’s going to be on the consideration list. For the smallest Fuji camera available with the most up to date feature set, this is you camera. If you’d like to purchase an X-T10 or anything else for that matter, please consider using one of the affiliate links below. The price is the same for you, but a small percentage of the purchase price goes to me, which helps keep this site going. Thank you.